Our product range includes a wide range of rfid based entry ticketing machine, online bus ticketing machine, bus ticketing machine, handheld parking ticket machine and token vending machine. 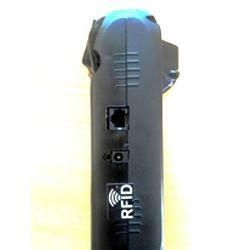 We have high specialization in manufacturing and wholesaling supreme quality RFID Based Entry Ticketing Machine. We have introduced the most advanced mechanism to improve the user experience and save the labor cost by developing this handheld ticketing system. Featuring rugged construction and latest mechanism, this machine not only generates tickets but also provides item wise reports, shift wise reports and day wise reports. 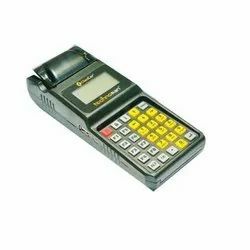 We are engaged in offering Online Bus Ticketing Machine to our clients. GPRS based online hand held Bus ticketing machine in which -tickets,route,stage,collection informations are sent to the central server. customer can view the live status through authorised login. 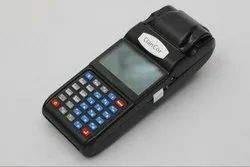 Owing to our technological adeptness, we are at the forefront of manufacturing and wholesaling high performing HandHeld Parking Ticket Machine. Designed to eliminate the needs of huge manpower, our offered handheld machines are most popular devices available for generating parking tickets. Designed and developed to manage parking facilities with ease the offered machine features sturdy construction and high speed operation. Further, our prestigious clients can order this high performing device from us at the best market price. We are well acclaimed as a prominent firm engaged in manufacturing, exporting and wholesaling highly demanded Token Vending Machine. Our offered machines are time saving and cost effective and perform exceptionally well in busiest public places. Equipped with advanced software to generate counter wise tokens the offered machine is developed with dual function keyboard and quality tested components. Thoughtfully designed to meet the requirements of reliable performance, our offered handheld token vending machine features sturdy construction and can be ordered from us at the best price. Looking for Ticketing Machine ?